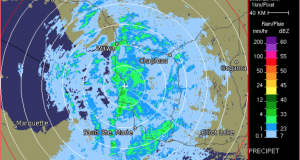 Precipitation will begin as snow this evening, then change to ice pellets. Ice pellets will change to freezing rain Friday morning. Freezing rain will continue for several hours before finally changing to rain Friday morning.